Wow. The profund difference in Krinard’s writing style in comparison to Prince of Wolves is…astounding! And more of a disappointment that I have had in quite some time. 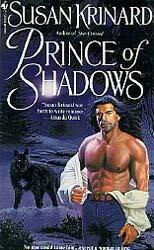 After reading Prince of Wolves, one of the best romance stories I have read in years, I found myself suffering through Prince of Shadows. The writing style is completely different. It’s like drinking a very cold beer and then drinking a room temperature beer. I was left with a disgusted .. what-are-you-serious look on my face. Prince of Shadows is positively boring 😦 I really dislike writing negative reviews. I would like to say the reasoning behind my opinion of this book is due to the expectations and standards set by Prince of Wolves. But even then, I am confident that I would have disliked this novel. Prince of Shadows is the werewolf story of Kieran and Alexandra. During a summer from their childhood, Kieran met with Alexandra everyday as a wolf. Becoming best friends, and Alex unknowing of what he was, they had an intimate and innocent relationship. That is, until his parents were murdered by some psycho wolf hunter. 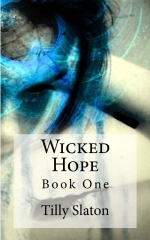 Alexandra was forced to return home after her summer visit with her grandfather and Kieran mysteriously disappeared. Years later, he finds her at the cabin from their childhood. He was in wolf form and poisoned. After taking him in and helping him heal, he revealed himself to her. Suffering from amnesia, they work together to unlock his past that was clearly traumatic. That is what this book is about. A werewolf who cannot remember who he was and believes wholeheartedly that he is a monster. A beast. If you must read this book, I would recommend it to mature adults only. Mild descriptive violence as well as sexual content. This entry was posted in Reviews and tagged book review, paranormal romance, prince of shadows, romance, susan krinard, werewolf, wolf hunter. Bookmark the permalink.